"At the core of this newfound obsession is a simple explanation: the joy of discovery, imagination and escape." An unlikely entity has taken me fully into its fold. I'm completely obsessed with the Transformers. Unfortunately, I was born several years after Optimus Prime and the Autobots first revealed their presence on Earth with the 1984 debut of the Transformers cartoon series and toy line. By the time I was old enough to have any interest in playing with robots disguised as trucks, cars, jets and other vehicles, the "girl toys" of the early 1990s reigned supreme, and my sister and I chose Pound Puppies, Barbie, Polly Pocket, Legos and Beanie Babies over all else. I'll be 31 soon, yet my love for Bumblebee, Grimlock, Soundwave, Laserbeak, Ironhide, Wheelie, Starscream and literally hundreds of other robot characters is still in its infancy. 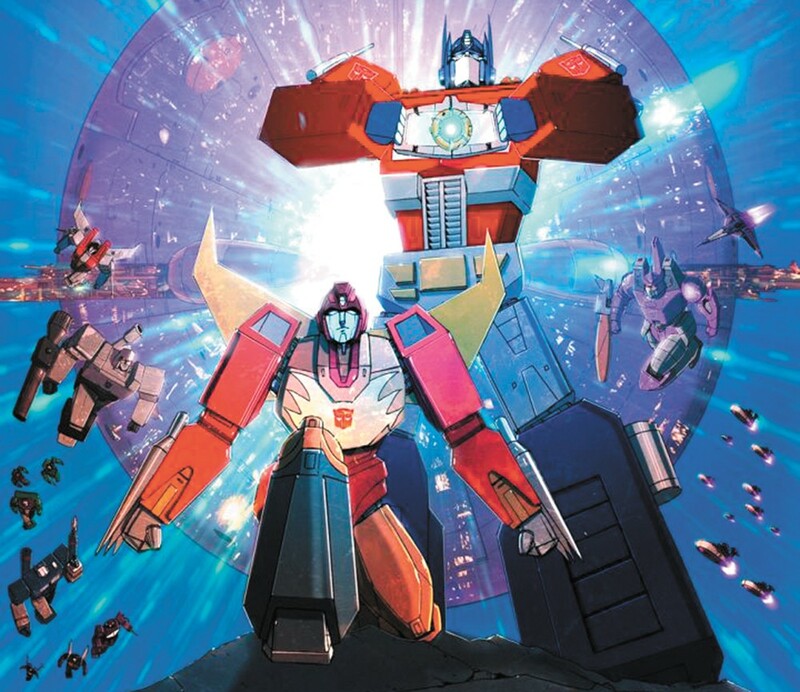 I was only properly introduced to the Transformers universe a few months ago when my partner Will — who grew up with the toys and the show — nostalgically decided one Saturday afternoon to watch the 1986 feature The Transformers: The Movie. I rolled my eyes at first (a dorky kids' movie!) but was surprisingly transfixed. I soon discovered that the Transformers are more magical, intricate and compelling than I ever imagined. The first generation robot designs are also adorable. Since that fateful fall day, I've watched the entire first season of the '80s animated series, played through the incredible 2012 video game Fall of Cybertron, read a dozen or so Transformers comic books, learned to play the new Transformers collectible card game, cried three times during the new blockbuster film Bumblebee, and continue to incessantly bombard Will with Transformers memes, quotes, questions, music and general untethered enthusiasm. At the core of this newfound obsession is a simple explanation: the joy of discovery, imagination and escape. Learning about the Transformers and their world — all the character arcs and complex history of the Autobot and Decepticon factions — manifests as the purest form of nostalgic, childlike wonder. Nearly every episode of the cartoon presents new-to-me characters (it was, after all, created to promote the next new toy), sending me online to Transformers wikis to fully immerse myself in their rich backstories. There's really nothing else that compares to this gleeful early phase of a newfound hobby or learning process, and this time, I'm shamelessly soaking it all up and letting my inner child roam free. The original print version of this article was headlined "More Than Meets the Eye"